Join the disability-inclusive disaster risk reduction network. Take the survey! Inclusion Saves Lives: Did you successfully overcome a natural disaster or emergency situation? Tell us your story! The World Conference on Disaster Reduction was held from 18-22 January 2005 to review progress made on disaster risk reduction since the 1994 Yokohama Conference. The outcome document of this Conference, the Hyogo Declaration and Hyogo Framework for Action, was a global blueprint for 10-year strategy for disaster risk reduction efforts. The Hyogo Framework for Action: 2005-2015 (HFA) – Building the Resilience of Nations and Communities to Disasters, addresses the impact of natural hazards on people everywhere. The Third World Conference on Disaster Risk Reduction (3WCDRR), which will be held in Sendai, Japan in 2015, will review the implementation of the HFA and adopt a post-2015 framework for disaster risk reduction (HFA2). HFA2 will build on the lessons learned in the achievements of HFA and other international agreements. Open-ended informal consultative meetings by stakeholders will take place in September and October 2014. Based on such consultative meetings, the Co-Chairs of the Bureau of the 3WCDRR will prepare a Zero-Draft by mid-October in time for the second Preparatory Committee meeting, scheduled in Geneva, Switzerland, on 17-18 November 2014. The 3WCDRR will result in a concise, focused, forward-looking and action-oriented outcome document, as called for by the UN General Assembly in its resolution A/RES/68/211. 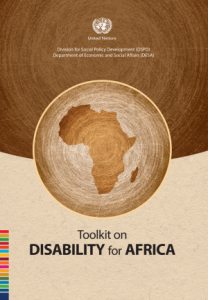 It is imperative that persons with disabilities are explicitly represented as a group and that their perspectives and concerns are reflected in HFA2. Drawing from the “Future we want” – the Rio+20 Declaration of the UN World Conference on Sustainable Development that calls for the inclusion of all stakeholder groups in the process of defining sustainable development policy, an international Organizing Committee on disaster risk reduction, has been assembled. The Committee will include representatives of Governments, UN agencies, international and national civil society networks, organizations of persons with disabilities, experts and academics in the field, and private foundations, to join hands to ensure that the HFA2 is disability-inclusive. Consultation on technology and disability-inclusive disaster risk reduction at the 4th Zero Project Conference organized by the Secretariat for the Convention on the Rights of Persons with Disabilities (SCRPD) of the Division for Social Policy and Development (DSPD), Department of Economic and Social Affairs (UNDESA), 26 February 2015, UN Headquarters Vienna: Join the disability-inclusive disaster risk reduction network. Take the survey!